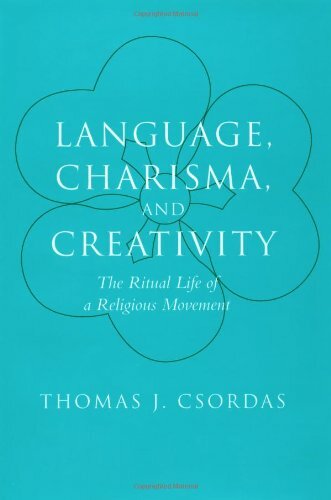 Thomas Csordas's eloquent analysis of the Catholic Charismatic Renewal, part of the contemporary cultural and media phenomenon known as conservative Christianity, embraces one of the primary tasks of anthropology: to stimulate critical reflection by making the exotic seem familiar and the familiar appear strange. This story, unlike an ethnography of a little-known tribal society, is about people who are quite like everybody else but at the same time inhabit a substantially different phenomenological world. Csordas has observed and studied Charismatic groups throughout the United States. He begins with an introduction to the Charismatic Renewal and a history of its development during the roughly thirty years of its existence. He describes the movement's internal diversity as well as its international extent, emphasizing Charismatic identity and the transformation of space and time in Charismatic daily life. Language, Charisma, and Creativity extends and builds on the ideas of self-transformation that Csordas introduced in his earlier book on Charismatic healing. This work makes an original, important contribution to anthropology, studies of religion and ritual, linguistic-semiotic and rhetorical studies, the multidisciplinary study of social movements, and American studies. View More In Christian Denominations & Sects. THE TSHI-SPEAKING PEOPLES OF THE GOLD COAST OF WEST AFRICA. Their Religion, Manners, Customs, Laws, Language, etc.